After your general fitness, terrain is the next most important part of picking a destination. The terrain will dictate the level of fitness, training, and equipment required to be safe. Remember, the goal is to enjoy your adventure. if you will increase your fitness to match the terrain. What elevation changes will I encounter? Will I be traveling through flat areas, gently rolling hills, steep mountains, or some combination of all? Will I have to cross any rivers? Are there any bogs, swamps or lakes that I will have to get across or around? What sort of water sources will I have along the way? Will there be areas where I won’t have the shelter and resources of a forest? After picking a general location chose a trail. Find a website or even a book focused on your destination. If you are considering a National Park, the National Park Service (NPS) websites often include free trail maps you can download. A free way to check the basic terrain type is to use Google Maps. However, to plan your trip in detail, you will want topographical maps. The example below shows part of my route out of the Yellowstone Thorofare and into the mountains towards the Continental Divide. In future blog posts I’ll get into the details of land navigation using topographical maps. For now, I’ll focus on some of the basics of a topographical map. You may encounter other terrain types for your destination. Learn the maps that you will be using. The 8600 on the major contour line indicates the line runs along an elevation of 8,600 feet above sea level. Depending on the scale of the map, the minor contour lines will be different distances apart. Notice that there are four minor contour lines between the 8,600 and 8,400 major contour lines. Each minor contour line is a 40 foot increase or decrease in elevation. The further apart the contour lines are the more flat the area is. The closer together the contour lines are the steeper the terrain is. By looking at the contour lines, you should be able to tell that we started at about 7,840 feet. By the time we got to the left of the map we were at about 8,800 feet. Peak elevations – Peak elevations are denoted with an X and the elevation at that point. I have marked an 8,108 elevation peak on this map. Water Sources – Notice that I marked the potential water sources on this map with yellow dots. There are on-line mapping resources designed for hikers and backpackers. They charge a fee for access, but they provide more features than free map resources. The site I use is https://www.alltrails.com/. This site has detailed and interactive topographical maps. The software allows you to easily draw your planned route. It also calculates mileage and shows you an elevation profile of the route. Below is an example from alltrails.com. The green dot was our starting point. Again, I had marked potential water sources with a yellow dot. The blue dot is at the six mile point. My cursor was at this point along the elevation profile, at the bottom of the map, when I took the screen shot. We can see that this route is over 12 miles long. The elevation at the left of the elevation profile is the elevation at the six mile point (where my cursor was). The elevations at the right of the elevation profile show the top and bottom of the scale. I also recommend purchasing a professionally printed topographical map. Your map should be printed on synthetic, water proof, and tear-resistant paper. You may have to refer to your map in the rain. You can get them from outdoor equipment stores such as REI or from a website such as National Geographic. There is a lot more to know about using topographical maps in the wilderness. This is a good start for purposes of determining the types of terrain you will be in. Next week’s post will focus on climate and weather related research. What kind of questions do you have about terrain or topographical maps? Leave a comment. Ask your questions. Join the discussion. Share with friends. 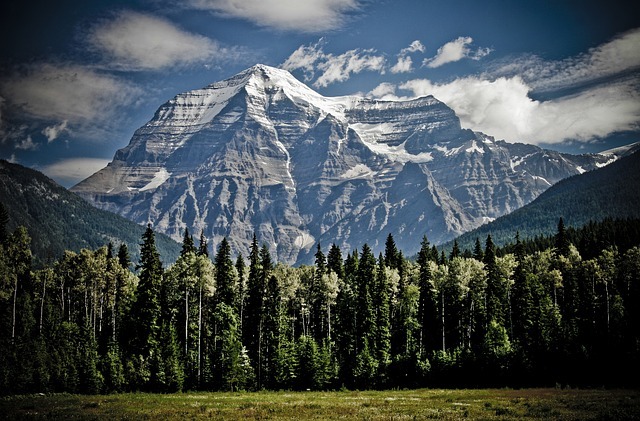 “Free Image on Pixabay – Mountain, Peak, Mountain Range.” Pixabay. Accessed February 7, 2017. https://pixabay.com/en/mountain-peak-mountain-range-1462655/. Wood, Harold. “ Quotations of John Muir – Writings – The John Muir Exhibit – Sierra Club .” Sierra Club. Accessed February 7, 2017. http://vault.sierraclub.org/john_muir_exhibit/writings/favorite_quotations.aspx.